With another Christmas now behind us, I assume some of you may have some shiny new toys, such as a new smartphone, tablet or other mobile device. Let me tell you, when it comes to traveling, I’ve come to rely heavily on my trusty iPhone. So for you newbies or for even the veteran mobile users out there who haven&apos;t utilized your technology to the fullest, I thought I would provide some Geek Squad-type assistance to help you navigate Hendricks County. Just as an aside while we don&apos;t have an app, this All Access Hendricks County blog site is mobile friendly, so feel free to check us out daily on your phone or tablet for insider travel tips. Anyway, here is a list of eight free apps to get you started. (Note: Since I’m an iPhone user, these are all iOS apps available in the App Store. But most of these have Android equivalents, or you can simply access them online.) 1. 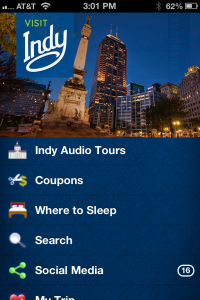 Visit Indy: Unlike most of the free apps listed below, this is a more local, all-in-one app specifically designed for visitors. 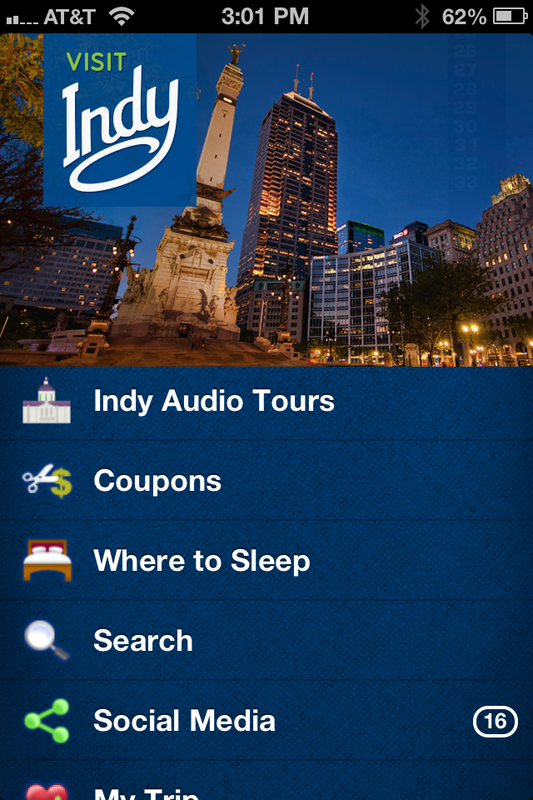 It provides places to stay, eat and visit while you&apos;re here, audio tours and even coupons. 2. 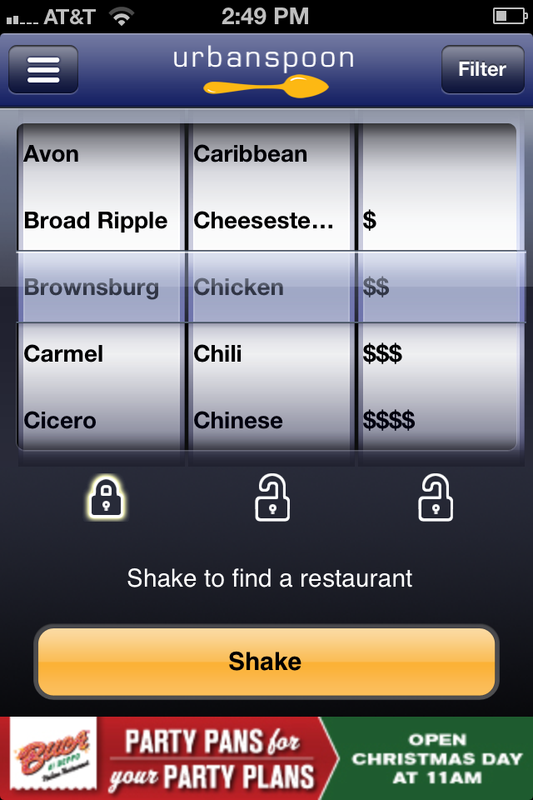 Urbanspoon: Specifically designed to find dining opportunities, my favorite feature of Urbanspoon is its slot machine-style discovery engine. Shake your phone (or touch the “shake” button) to spin the town, cuisine, and price options, and you’ll be served a nearby restaurant that matches your craving. 3. Foursquare: The app that became famous for gamifying your errands around town is now a great tool for discovering new places nearby. Just enter a search term, e.g., “coffee,” “latte,” or “burger,” and the results page will give you a map, reviews and recommendations. 4. Foodspotting: So you’ve picked a new restaurant, but what do you order when you arrive? With Foodspotting, users photograph and recommend specific dishes at local restaurants. 5. Yelp: Use Yelp to help you find nearby restaurants, coffee shops, bars, gas stations, and drugstores. 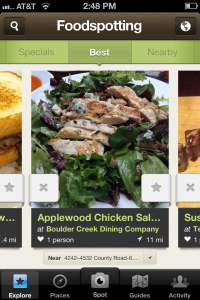 Users rate their experience and make recommendations, which is especially helpful when you’re trying to find a place for dinner. 6. 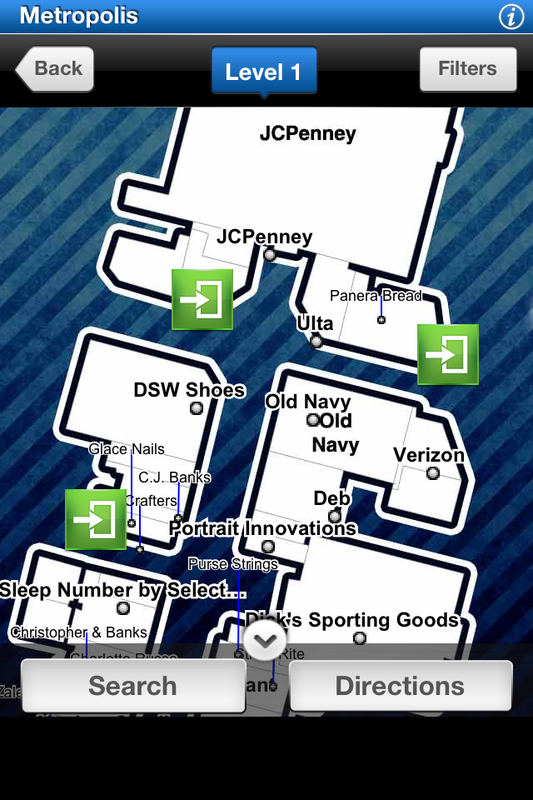 FastMall: Metropolis Mall in Plainfield is just one of the shopping malls in Central Indiana included in this app. 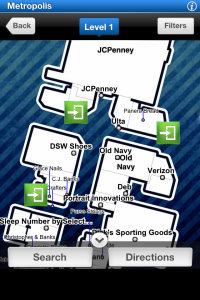 The app provides interactive maps of each mall, helping you navigate for a more efficient shopping experience. 7. Indiana Winery Guide: Three Indiana Wine Trails are represented in this app. You can follow a trail or use the app to find a winery nearby. 8. 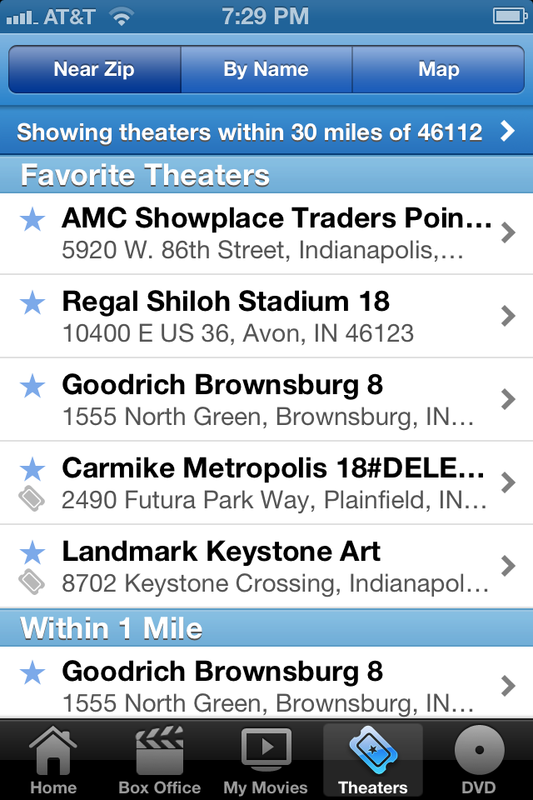 Flixster: Feel like seeing a movie? 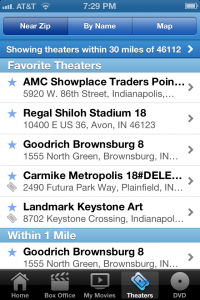 Flixster will list nearby theaters, along with their showtimes. I’ve used it many times while traveling. It’s a great tool to have on hand for a rainy — or snowy — day. I’m always looking for new suggestions—do you have a favorite that’s not on this list?